Well, here’s the perfect recipe to the fav drink of all times. I have adopted it from here. Quick summary of the process (for quick readers): To sum up, it’s really boiling sugar and water together and mixing it with the lemon juice and water. Serve chilled over ice and that’s it to the lemonade. Quick Tip - you can also microwave the mixture too till the sugar dissolves in the water. 2. I added 4-5 saffron strands just after I turned off the gas and when the syrup was still warm. Saffron gives a nice hint of orange-yellow to the lemonade and a sweet aroma. Quick Tip - I have also tried switching saffron to ginger sometimes. Take 1-inch cube of ginger and grate it or pinch between a pair of tongs to bring out the juice and flavor the syurp. Lemon-ginger combo has a unique taste. 3. I squeezed out juice from 3 lemons. Quick Tip - Sometimes I just preferred limes over lemons ‘cause of the supremely tangy taste of limes, but then be mindful of the sugar qty if you are not going for the tangy taste. 4. In a pitcher, stir together the saffron syrup, lemon juice, 4 cups water. I skipped on the cardamom powder. 5. Serving Tip- I served the lemonade in tall glasses; it just brings a zing to the presentation. I dipped a rim of glass in water and coated it with salt (regular salt is fine if don’t have a margarita salt). 6. Serve the lemonade chilled over ice. Add one or two lemon slices to the drink. I have another quick-fix recipe for lemonade – but I will keep it for another post. Paav-bhaji, a street side food served in Mumbai, is a spicy-n-buttery mixture of mashed veggies served with toasty bread. For Paav-bhaji, I usually trust this recipe. Yes, it’s as it simple as it sounds, of course when you have left over paav-bhaji sitting in your fridge. Instead of just having it regular style, why not jazz it up Italian style, eh? 1. Take a paav/bread ( or a regular sandwich bread is fine) and cut small circles out of it using a cookie cutter (or a small sharp edged bowl). 2. Apply butter on one side and toast it on a hot sizzling pan. 3. Spread one table spoon of paav bhaji on it, sprinkle it will with some finely diced onions, tomato, coriander and some red chilli pwder for added kick. Tats it, my friends, your quick party favor is ready. So that was desi food served with an Italian twist, do you try such quirky twists in kitchen? Amazing pictures! Looks so yummy! Thanks for the comment! Now following you, follow me back? This drink looks delish! :) Thanks for the sweet comment and stopping by my blog. 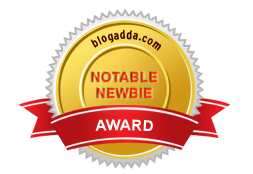 Your blog is awesome-just became a member/follower of your blog. I hope you'll follow me back and we can keep in touch. Happy Blogging!!! I'm a big fan of pav bhaji and the lemonade is just what I'm thinking right now to beat the heat! Looks yumm!! Thanks a bunch for stopping by and following! 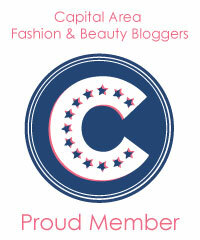 You have a lovely blog and I'm following you back! You look amazing! Loved your top! ive never seen the average limbu sherbat so stylishly served! geat post-love the pav-bhaji innovation too! Looks delicious, now you made me hungry! How refreshing! There is nothing like cool lemonade on a warm day! Thanks for the sweet comments and have a lovely week! My mouth is watering right now! The lemonade looks amazing! Loved your glamourous presentation of simple nimbu paani!! Nw I cant wait to try it out. Following your blog! BTW I can't find you in my GFC list? Nimbu paani Looks refreshing !!! These look absolutely delicious! I could eat/drink both right now and it's 11:30am!! Just hopped over from the GFC link up and really excited to be a new follower. thanks Rosie, yeah I get cravings like that too. will be visiting ur space soon!